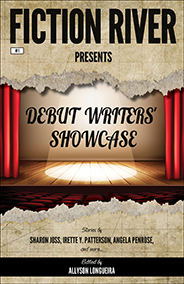 From baking a magical love spell to having the opportunity to rectify a mistake from the past to hunting a serial killer, Debut Writers’ Showcase highlights stories from Fiction River’s first year that marked a first professional sale for these up-and-coming authors. Since first appearing in a volume of Fiction River, these authors have gone on to sell more stories, build their fan bases and win awards. These first stories mark the perfect way to start this brand-new Fiction River line.